The Women’s League for Conservative Judaism is honoring late Shelly Goldin for her many years of leadership to the national organization. 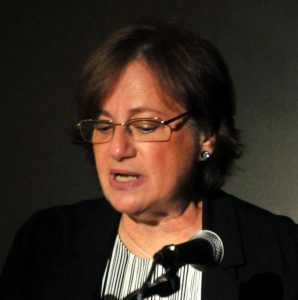 The league has created the Shelly Goldin Memorial Leadership Institute Scholarship Fund, which will be used to carry on her work in supporting female Jewish volunteer leaders. She passed away on June 18. Shelly served the Women’s League’s Seaboard Region as a president, a consultant and personnel committee chair and served as international vice president. Most recently, she served as the lead trainer for the group’s leadership institutes. She developed the second phase of the training initiative known as the Organization Management Institute. Shelly ran the Tikvat Israel Sisterhood chapter and served on its governing committee for many years. She created the book discussion group for the Sisterhood that meets 4-5 times a year at TI. For more information, contact Erica Slutsky, communications coordinator of the Women’s League, at (212) 870-1260 ext. 2154 or eslutsky@wlcj.org.